$225. 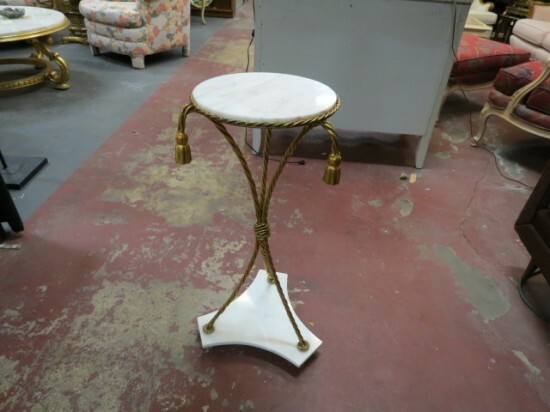 Vintage antique white marble/gold metal rope small table/pedestal, c. 1940. Beautiful small table or pedestal. 3 gold metal rope legs attached to marble base, continues to form the top support for the marble with 3 gold rope tassels. Perfect for your living room. Excellent condition. Top measures 12in round, base measures 12in wide, 15in deep. 29in tall.